Bringing Your Vision to Life! 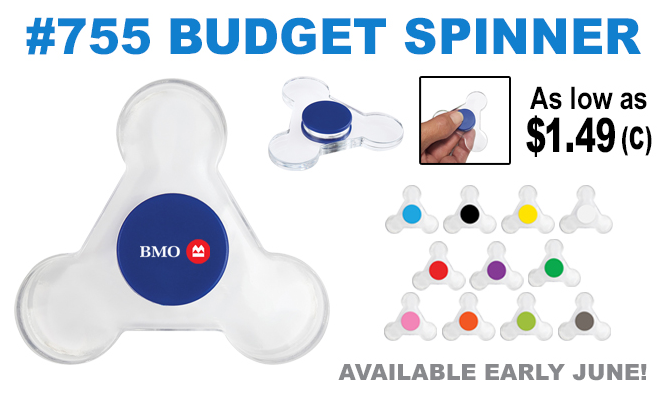 Toys, Learning Tools, YouTube Videos, and Promotional Products! 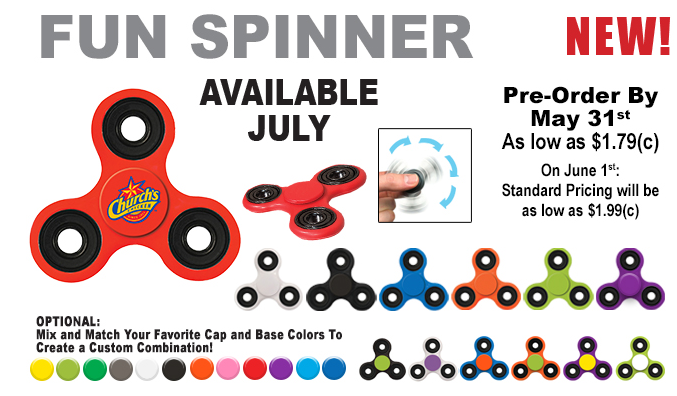 A fidget spinner is a type of stress-relieving toy. 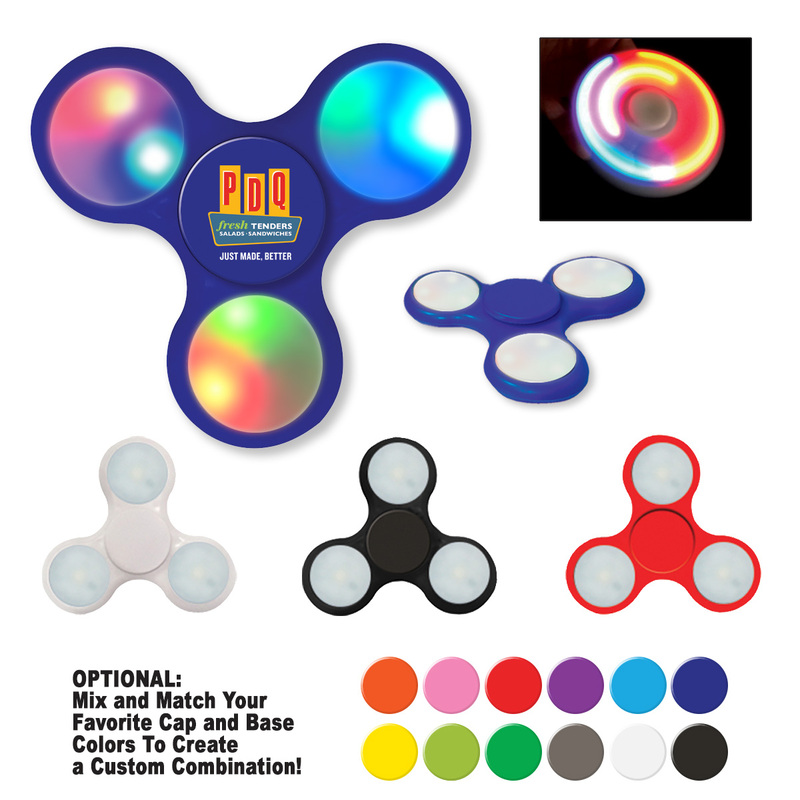 Because of their popularity, promotional product vendors have been selling out of these like crazy! 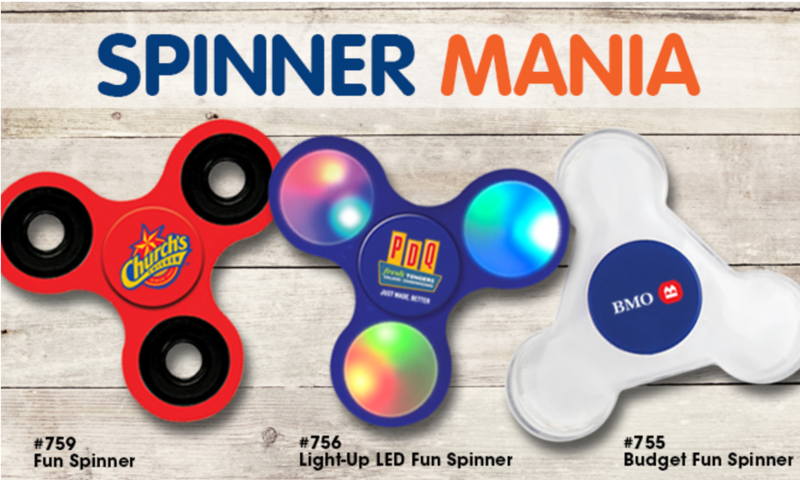 Contact us today to get your order in for fidget spinners before the prices go up! The price will go up to $1.99 starting June 1, 2017 (no exceptions)! SOME COLOR OPTIONS AVAILABLE NOW IN LIMITED QUANTITIES! $2.99 each + setup fees. Need larger quantities? Overseas options available for 5,000 or more to save even more! Want Made in the USA? Several options available! 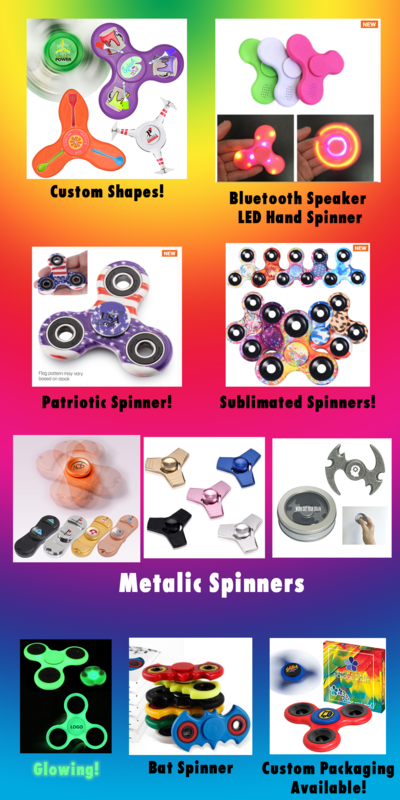 Hundreds of other fidget toys available! *Prices subject to change and do not include setup-up fees, shipping/handling or any taxes that may apply. ← YOUR Source for Uniforms & Apparel!